It's the boater hat that is most like Chevalier. 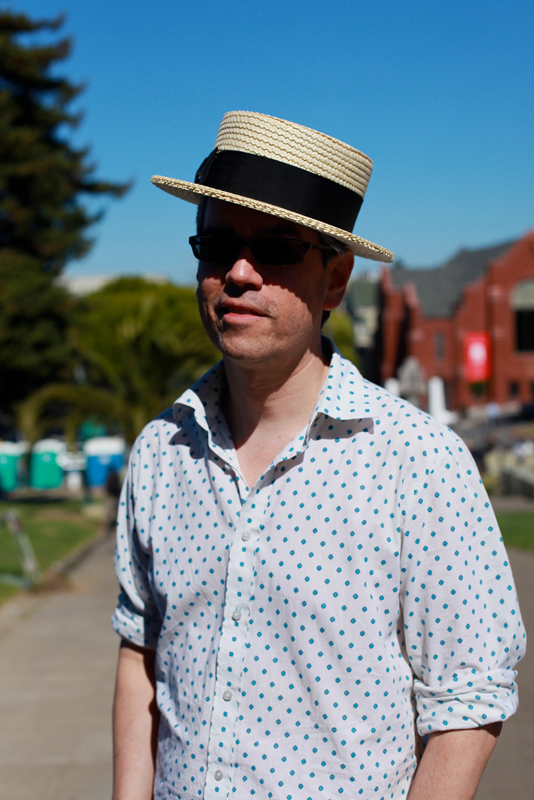 I like it, coupled with that great lightweight blue and white polka dot button down. 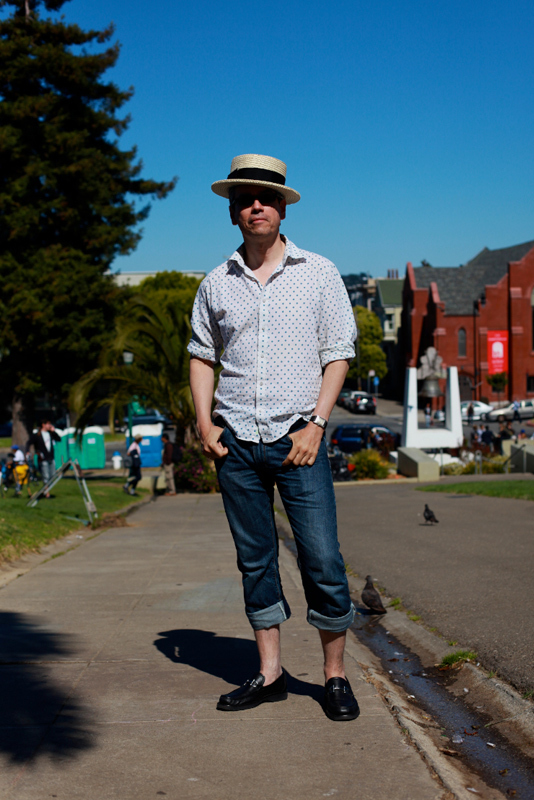 Chris looks like he's dressed for the summer we wish we had in SF (sunny, with mildly warm temperatures). 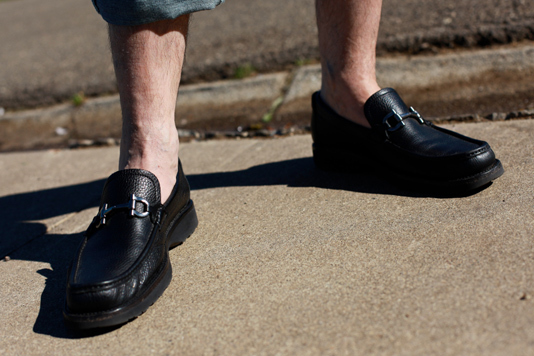 Black loafers sans socks to complete the outfit.